We would like to update you on the progress our son Aiden is making. Aiden, now 8 years old, received his first Stem Cell infusion last March. He has had tremendous results. We have seen improvements in Math, Reading, Social Interacting, Speech, and Diet. 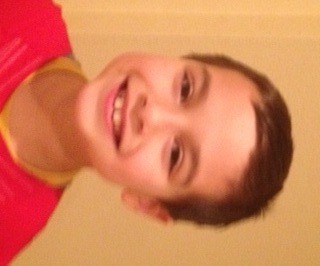 Aiden is more engaged with his peers, role plays, plays games and tells jokes. We are thrilled that Aiden is more than half way mainstreamed in public school. Aiden enjoys riding his bike, riding his scooter, swimming, and drawing. Stem Cells have been a miracle for him, and our goal is to return for a 2nd treatment later this year. The cost for his treatment continues to be a challenge for us. This type of treatment is not covered by insurance and must be paid out of pocket. With your help, Aiden has a better chance to continue his progress in what is hopefully a full recovery from Autism. A fundraising campaign in Aidenâ€™s honor has been established with HelpHOPELive, a nonprofit organization that has been assisting the transplant community for 30 years. All donations are tax-deductible, are held by HelpHOPELive in the South Central Stem Cell Transplant Fund, and are administered by HelpHOPELive for transplant-related expenses only. Please consider making a tax deductible contribution. We thank you for your ongoing support, kindness and generosity. Tia Mari and Tio Lee love you to the moon and back! I love you my angel boy!